Foster Scanner or Variable Path Scanner is a simple mechanical means for steering a narrow beam rapidly across the area of radar coverage. It was developed by the Canadian physicist John Stuart Foster at Massachusetts Institute of Technology. 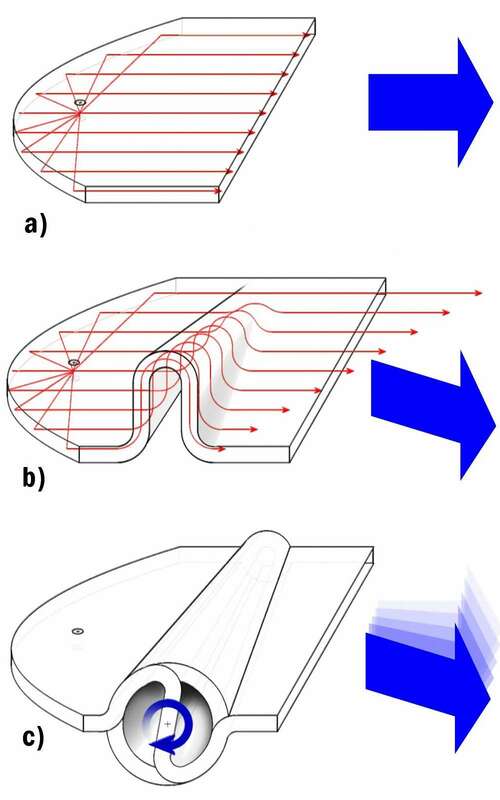 The development and construction of this scanner is illustrated in Figure 1. Step a) shows a source in a so called “pill box” or “cheese” antenna.  The parabolic reflector generates a linear wavefront between the both plates. This antenna has a narrow beam in the dimension of the longer side of the aperture. Step b) shows the effect of a folded delay line of different length between the pill box antenna and the both plates. The Foster scanner c) makes these delay lines of variable length. It consists of a conical structure the cross section of which is given in more detail in Figure 2. As the rotor is turned the path length increases by an amount dependent on the distance from the edge. 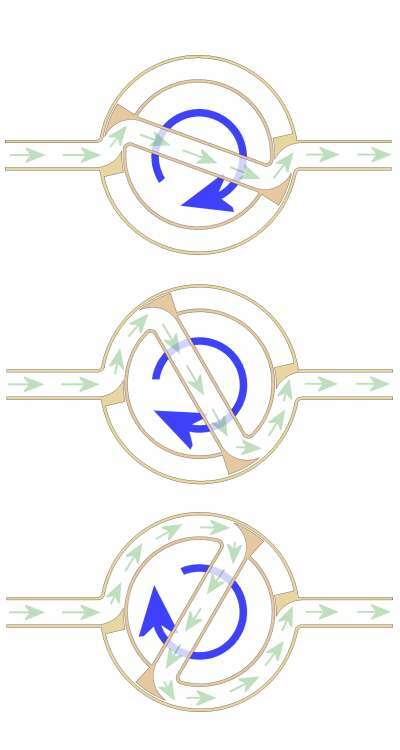 In order that the rotor may rotate through a full 360 degrees the reflecting barriers consist of teeth such that those on the rotor will pass through those on the stator. To avoid reflections, the transmitter must be switched off for a small angular range. This is usually achieved with a gate pulse for the modulator.